This is a little worksheet to practice the use of "have got","can", “to be". 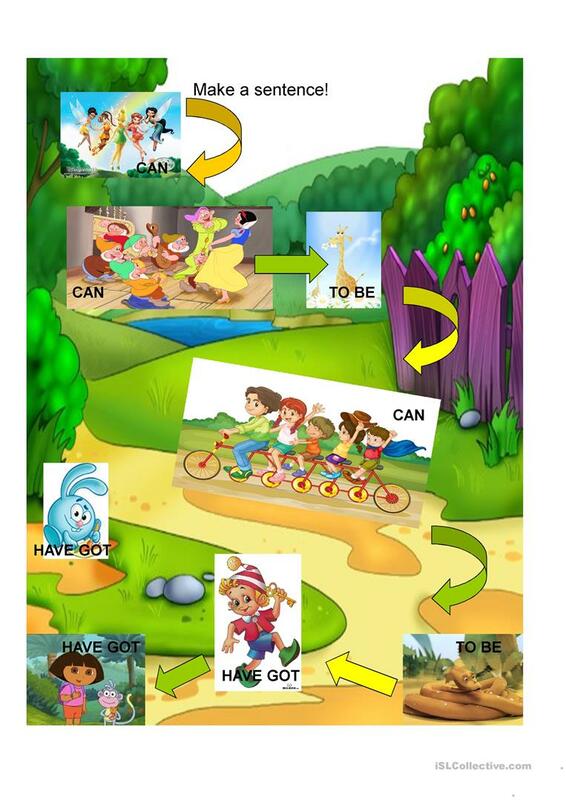 Children make sentences to each picture using the verbs, which are written in the pictures. Ask them to make as many sentences with the given verb as they could. For primary school. It сan be used as a warm-up for the whole class . You can use the activity to work in pairs, small groups. This downloadable worksheet is intended for elementary school students at Beginner (pre-A1) and Elementary (A1) level. It is aimed at consolidating Present simple tense in English, and is a valuable material for developing your students' Speaking skills. coolsonne is from/lives in Ukraine and has been a member of iSLCollective since 2013-09-23 15:58:08. coolsonne last logged in on 2018-03-11 15:37:30, and has shared 3 resources on iSLCollective so far.